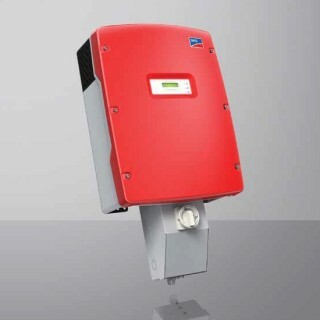 SMA Sunny Boy US inverters are now available with integrated Arc Fault Circuit Interrupter (AFCI) functionality. Integrating AFCI functionality within the PV system inverter eliminates the cost and effort of installing additional arc-fault circuit protection components to meet 2011 NEC section 690.11 requirements. DC arc-fault circuit protection provides supplementary protection against fires that may arise as a result of arcing faults in PV system components or wiring. Section 690.11 of ANSI/NFPA 70®, National Electrical Code® 2011 Edition (2011 NEC) sets new requirements for photovoltaic (PV) systems installed on or penetrating a building. These requirements apply to newly installed PV systems with a maximum voltage of 80 volts or greater. Such PV systems must be equipped with direct current (DC) arc-fault circuit protection. The Sunny Boy TL-US series is UL-listed for North America and features SMA's innovative H5 topology, resulting in superior efficiencies of up to 98 percent and unmatched solar yields. The transformerless design reduces weight, increases the speed of payback and provides optimum value for any decentralized, commercial PV system. The Sunny Boy TL-US series for North America is the ideal choice for mid-size and large plants from 24 kWp up to the megawatt range.